Seven people were decontaminated after Fort Lauderdale Fire Rescue workers responded to a possible hazardous materials situation at Bimini Boatyard Bar & Grill Wednesday, officials said. Officials said people complained of something that caused them to get an irritation or burning sensation and respiratory problems at the restaurant at 1555 Southeast 17th Street. Police also responded to the scene. A white powder was later found spread on top of a desk in an office near the kitchen, officials said. 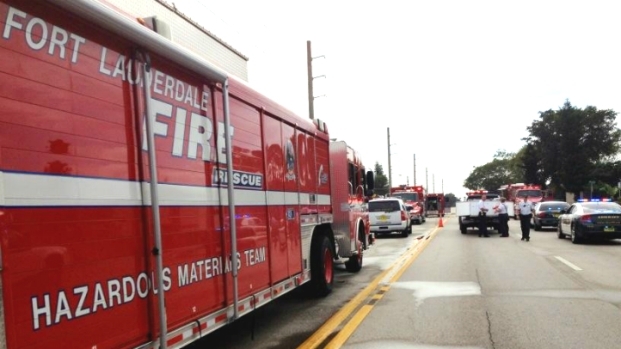 The strong smell of chlorine permeated the Boulevard Gardens neighborhood near Fort Lauderdale on Saturday, forcing the evacuation of about 20 homes, officials said. The powder was tested by the Fort Lauderdale Hazmat team who determined it didn't pose a serious public health risk, officials said. Preliminary tests showed it may be some kind of insecticide. Two of the seven victims were still being evaluated, officials said. No one was hospitalized. The incident happened before the restaurant was open, and the restaurant was still closed early Wednesday afternoon, but may open for dinner. 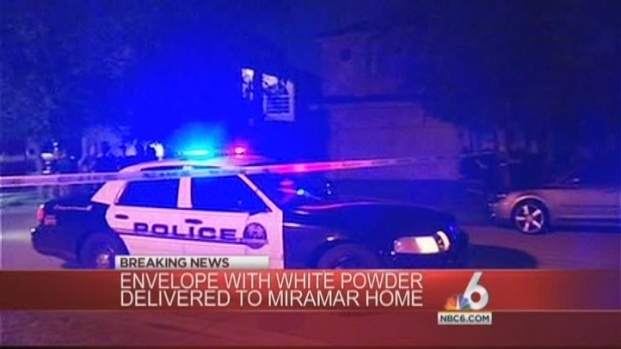 Miramar Police said they are investigating after a woman received an envelope containing white powder. 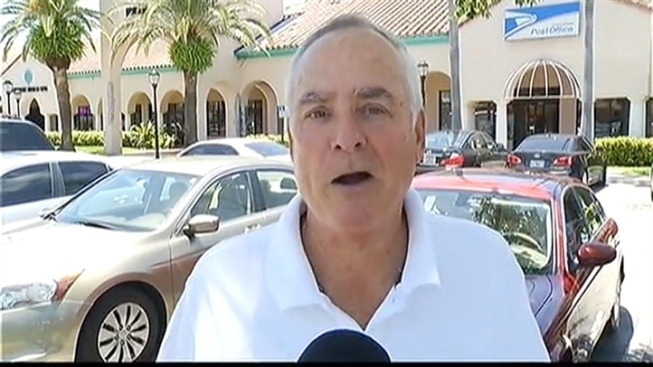 Postal inspector Ivan Ramirez spoke about the incident in Miramar's Silver Isles neighborhood.